Patrick Reed defied the fans and the favorites at Augusta this weekend, and won his first major. Reed had an unusual rise in the golf circuit. He got kicked out of the University of Georgia, suspended by his golf coach at Augusta State and had a relatively uneventful rise on the PGA Tour. 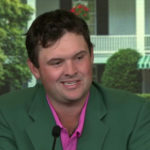 For anyone watching the tournament, it was clear the fans were not in his corner (instead rooting for favorites Rory McIlroy, Jordan Spieth, and Ricky Fowler), but he kept his head down, did his job and was awarded the infamous Green Jacket. As his caddie said to him, “It may not have been pretty, but you got the job done.” Congrats! 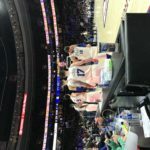 With a 109-97 win over the Dallas Mavericks, the Philadelpha 76ers tied a franchise record with their 14th consecutive victory. The last time the team won 14 straight was in 1983 when Philadelphia won the their last NBA Championship (Hall of Famers Dr. J and Moses Malone were on that team). With 50 wins (and two games left in the regular season), the Sixers have already secured home-field advantage in the first round of the playoffs. After weeks of speculation surrounding New York Giants star wide receiver Odell Beckham Jr.’s status with the team, Beckham Jr, said he’ll report to the team’s voluntary off-season workout on Monday. Beckham Jr is trying to secure a long-term contract with the Giants (reportedly worth $100 million) or seek a trade with a team willing to fork up that kind of money.